With the Louisiana Legislature convening in exactly one month, the first proposals focused on raising more money for New Orleans road and Sewerage & Water Board repairs have begun to take shape. The chances for major success, though, appear slim at this point, while city officials contend talks about new infrastructure funding are ongoing outside the legislative process. One bill filed last week would levy a tax on short-term rentals with revenues going into an infrastructure fund. Another bill potentially brewing would “authorize voters to vote directly on hospitality tax dedications in Orleans (Parish),” according to records from the mayor’s office NOLA.com | The Times-Picayune reviewed. But concerns remain from some New Orleans-area legislators over handing the troubled Sewerage & Water Board any additional money without reassurances the utility would spend it responsibly. Also, taking any existing resources from tourism entities, such as the Ernest N. Morial Convention Center, does not have broad support in Baton Rouge, according to state lawmakers NOLA.com | The Times-Picayune spoke to in the past week. State Rep. Walt Leger III, D-New Orleans, does not expect an easy debate over whether New Orleans should get a larger share of hotel tax revenues for infrastructure funding. Aside from skepticism from lawmakers over diverting tax revenue from tourism-focused groups, Leger noted the session will take place as a reelection campaign unfurls for Gov. John Bel Edwards, who has not supported revising the tax arrangement. “My expectation is that we’re going to have a very difficult conversation, and probably session, as we work through some of these issues,” Leger said Thursday (March 7). To help spark discussion, leaders in Mayor LaToya Cantrell’s administration presented a set of rough ideas late last year to the New Orleans legislative delegation on how the city might drum up infrastructure funds at the state and local level. 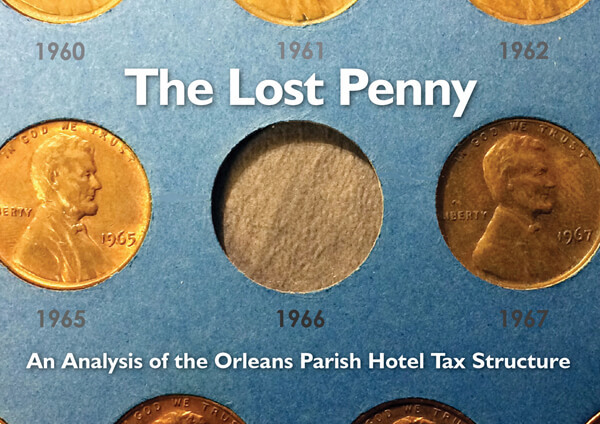 Most involve rededicating hotel tax and assessment revenues and approving additional levies on guest stays hotel room sales, according to a copy of the presentation NOLA.com | The Times-Picayune obtained. A handful of the ideas would tap the convention center’s reserve account, the size of which has come under scrutiny by groups such as the nonpartisan watchdog Bureau of Governmental Research. Cantrell has pushed that idea for the past few months, while Edwards and Senate President John Alario, R-Westwego, oppose it on grounds that the money supports facilities that make New Orleans a top tourism and major events destination. Beau Tidwell, the mayor’s communications director, stressed late last month that the administration’s revenue-raising ideas are not set in stone. The intent was to lay out all possible funding solutions for state legislators or the mayor and New Orleans City Councilto pursue, and identify those that might lead to dead ends, he said. Monika Gerhart, the mayor’s state relations director, also stressed that city officials have been meeting with state officials and hospitality industry leaders to craft solutions. Tidwell said much the same. The Cantrell administration has estimated New Orleans needs between $80 million and $100 million in additional annual revenue for infrastructure repairs and ongoing maintenance. Cantrell has said she also wants an upfront, one-time payment of $75 million and $20 million more in annual payments to come from the convention center’s reserves. Finding more money for the Sewerage & Water Board also faces hurdles this session. State Sens. Sharon Hewitt, R-Slidell, and Conrad Appel, R-Metairie, both said in interviews this week they would need a better understanding of the Sewerage & Water Board’s budget before signing off on legislation that pumps more funding into the utility. Hewitt, who has previously questioned the merit of dedicated taxes overall, said the convention center should give a more thorough accounting of why it should have such a large reserve. But she added that she still would not support moving money to the Sewerage & Water Board from the convention center, which she said should have dedicated funds for financing bonds that pay for its construction projects. “If there’s a legislative solution that is proposed, I am personally going to have to be convinced that this is the best solution and to have a better understanding of the Sewerage & Water Board’s budget and what they’re doing to get the ship in order,” Hewitt said. Appel, whose district spans portions of Orleans and Jefferson parishes, also wondered whether any additional funds for the Sewerage & Water Board would “go into a giant black hole and disappear” or be used responsibly. He suggested revenue could be raised other ways, such as a stormwater fee or reducing property tax exemptions for nonprofits. Records NOLA.com | The Times-Picayune reviewed also include a “draft legislative agenda” the Cantrell administration has prepared. The document lists descriptions for several potential bills Orleans lawmakers could carry this session, including two that appear aimed at redirecting hotel taxes and raising infrastructure funds. A bill to “authorize voters to vote directly on hospitality tax dedications in Orleans (Parish)” is listed next to state Sen. Karen Carter Peterson’s name in the draft agenda. Peterson, D-New Orleans, did not respond to email and phone requests for comment last week. State Sen. J.P. Morrell, D-New Orleans, said in an interview Wednesday that he does not know the details of that potential Peterson bill. He surmised it would involve “an effort to redirect the (convention center’s) money.” A breakdown of hotel tax revenue dedications, including “$283 million” in convention center reserves, appears on the draft agenda below the description of Peterson’s bill. Overall, Morrell expressed doubt on whether the delegation would back using the convention center’s reserves. Specifically, he noted the Peterson measure would face a tough time in the Senate Revenue & Fiscal Affairs Committee, which he chairs, because most of its 11 members represent areas outside New Orleans. The bill, authored by state Rep. Jimmy Harris of New Orleans, calls for depositing revenues from the short-term rental tax into a new infrastructure fund the City Council approved earlier this year. The tax would also need approval from New Orleans voters. Leger, speaking on Thursday, said he is also considering bringing his own bill for a short-term rental tax. But he said some legwork needs to be done in Baton Rouge to convince enough lawmakers that such a tax should be levied. Most effective would be to craft a bill that “ties a number of these things together,” Leger said, referring to the ideas in the city’s presentation. But Leger wondered whether time is running out to create that sort of legislation, with the session set to open on April 8. “I had hoped by March we would have a clearer image,” he said.